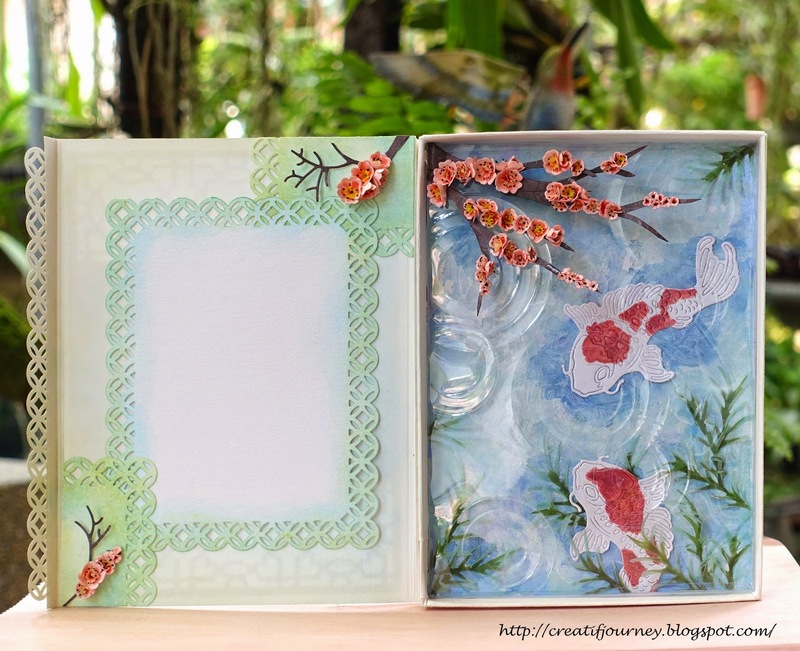 A very oriental theme card with cheery blossoms blooming over the Koi Pond. 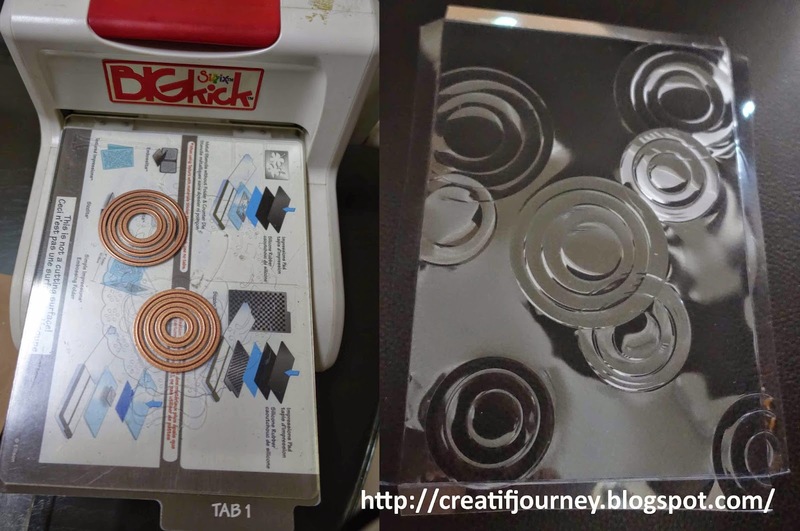 To create the rain drops on the surface of water, I embossed a plastic sheet with multiple stacked circle dies without cutting through the plastic. Very pretty. Thank you so much for sharing your lovely creation with us at Creative Card Crew. How creative of you! Your ripples are perfect! Thanks for sharing with us here at 613 Avenue Create! 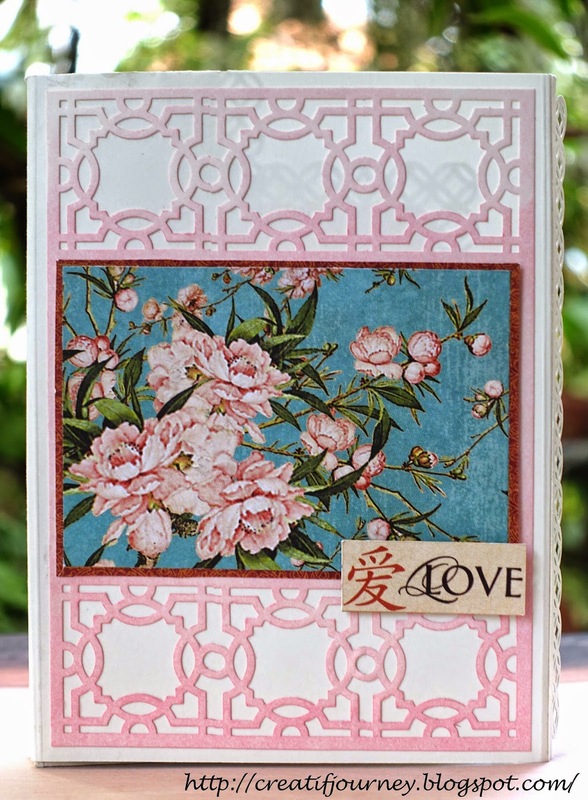 A fabulous card Mee, a beautiful die-cut panel over the gorgeous Cherry blossoms. I love how you've created the raindrops over the Koi water - lovely flowers and reeds!! Mee Love the koi and your water pond effect you have created. Just awesome. Thanks for joining the Cheery Lynn Design challenge. Best of luck to you. What a fabulous koi pond you have created! Love the branch and flowers, just perfect. Good luck and thanks for joining in on the fun at Cheery Lynn Designs challenge. Wow! Beautiful, clever idea for the rain drops. Thank you so much for joining our April challenge over at Craft for the Craic.